Who Runs the Parts Counter? The SoCal Work Truck Show is Back! Isuzu’s New Fleet Value Seats! Mega PDC: The First Select Dealer to Earn CPWD Certification in the Nation! Carmenita Service Center: What is a DPF, and how do I maintain it? MEGA PDC: Welcome the new Hot Shot delivery van! Why buy our glass racks? Carmenita Truck Center: The New F-150! Mega PDC: Welcome to the $2 million sales club! 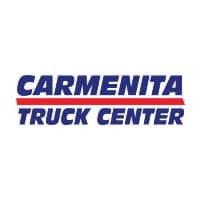 Carmenita Truck Center: Hot or cold, we have your food delivery truck! Section 179: What is it? Does a new truck qualify for the deduction? MEGA PDC: The Largest Inventory of Parts in the US!